Artist Carrie Martin, in need of a model for a series of figure painting, meets Hope Garret at a grief support group. Hope turns out to be the perfect model, but when Carrie realizes that Hope is inspiring other feelings beyond the art, she decides to keep it a secret. Little did she know that Hope has a secret or two of her own. Can these two women put their fears aside, let the truth out, and find what they need in each other's arms? Click for eBook or paperback from Amazon. Click for eBook for the Nook. Click to order autographed paperback. Emily's life "to do" list never included her mentally challenged sister moving in with her. Then again, getting a divorce or moving to a different town for a new teaching job wasn't on her list either. But a lot of things change when your mother dies. Sometimes unexpected changes can bring new self-revelations and unexpected turns. Emily's best friend Andi stands by as Emily discovers her new-found sexuality and sets out to explore the world of loving women. 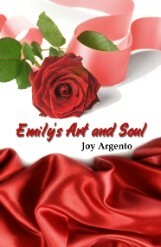 But will Emily see what's right in front of her before it's too late? Click here for eBook for the Nook. What happens when the queen of the ex-gay movement decides to come out of the closet? The person who helps Frances Dourne with this enormous task is a call girl Frances hires. A call girl with a secret of her own. Can they learn to trust each other enough to find the love they seek in each other's arms? Click for eBook on Amazon. Caris, 30, knew that life after having her baby would be different, especially since her wife Dale did not love her anymore. But Caris never expected post-baby life to be this difficult. Dale is in a coma and Lena, Dale's 29-year-old daughter, is put into the awkward position of revealing Dale's secrets to Caris. Caris and Lena share a perfect, passionate kiss that they cannot stop thinking about. Can Caris and Lena move past the taboo of their attraction and find their path together? Morrisey Hawthorne and her four-year-old son, Gareth, have a good life. Charlene Sudsbury is trying to move on from the suicide of her son, JP. Gareth is nearly the mirror image of JP, and Charlene connects instantly with him. Not so with Morrisey, who can't escape fast enough after Charlene shows her a picture of JP. Charlene is convinced Morrisey is hiding something and sets out in search of the truth. Despite the circumstances, the two women form a bond and end up with a lot more than they bargained for. But when an old friend of JP's resurfaces, he challenges the fragile trust Morrisey and Charlene have been building. 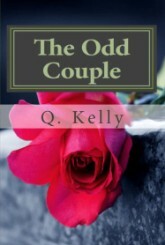 Can these two women overcome the obstacles that separate them from the happiness they seek?